Cultural Development Program  our works for employees to send notifi-  the impact of our work. 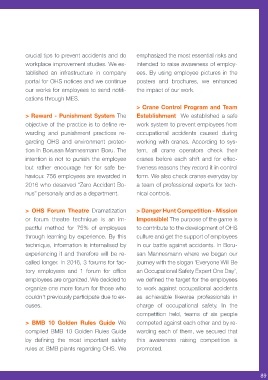 and ensure that they do not forget the   these incidents and actions are the most   rules at BMB plants regarding OHS. We   promoted.